Super Mario Bros. is one of the most iconic and easily recognized video games of all time. Developed and published by Nintendo in 1985, this classic side scrolling video game has been played and beloved by countless people in the decades since it's release. 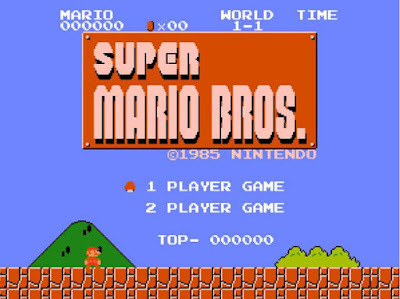 The game play is fairly simple, but anyone who has spent anytime playing Super Mario Bros. will tell you that it can be highly addictive. As the protagonist, Mario, your goal is to defeat the various levels and enemies on your quest to save the Princess. On your quest you will encounter various enemies including Mushrooms, Turtles, different level bosses, and at the end Bowser himself. In addition to having to battle past and through a wide range of enemies, you will also have to contend with various obstacles and the ever dwindling level time limit. Because of it's fun game play and the nostalgia that it invokes in so many, Super Mario Bros. will likely remain a popular video game for the foreseeable future. The game Super Mario Bros. revolves around the quest of Mario to defeat the evil forces of Bowser and rescue the Princess. In two player mode the second player is able to play as Luigi, the younger brother of Mario. Super Mario Bros. is a side scrolling 2 dimensional video game. While you are playing you move from left to right while performing a number of actions, including avoiding obstacles and battling enemies. Your main enemies will be the Goombas, which are small mushrooms, and the Koopa Troopas, which are Turtles For most enemies you can defeat them by jumping on them. You can also jump on a Koopa Troopa once, which forces it to hide within it's shell. At this point you can kick the shell forward and use it to take out other enemies. However when employing this tactic make sure you are cautious because the shell can ricochet and end up hitting you. To help you on your quest to rescue the Princess, there are three types of power ups available to Mario. The first is the Mushroom, which will increase Mario's stature. The main advantage of the Mushroom power up is that it allows Mario to be touched by an enemy without immediately dying. When you have the Mushroom power up an enemy touching you will result in you being turned back into normal sized Mario. The second available power up is the Fire Flower. The fire flower transforms Mario into a larger version that is capable of shooting fireballs. As fire powered Mario it is much easier to defeat enemies, which makes the fire flower power up highly advantageous during game play. The last power up is the StarMan which causes Mario to flash and temporarily become invincible all enemies. The Starman is a temporary power up, but when you have it all you have to do is run into an enemy and they are instantly defeated. Because of the short duration of the Starman power up, when you get it a great tactic is to run as fast as possible so that you can advance in the level while you are invincible. Just remember that even though you are invincible to enemies, you can still die by falling to a trap. While playing through the various levels in Super Mario Bros. you will also encounter coins and question mark blocks. Whenever you collect 100 coins you will be awarded an extra life, so it's always important to collect coins whenever possible. Question mark blocks hide either a power up or additional coins. In order to activate a question mark block you simply stand below it and jump up. Unlike traditional blocks question mark blocks cannot be broken, and after they have been used they remain solid and appear to be metal. You will also encounter large green warp pipes on a regular basis. In most cases these warp pipes are simply part of the landscape, however sometimes they lead to hidden worlds. To check to see if a warp pipe is one that will transport you somewhere else, you simply have to jump up on it and press the down arrow. 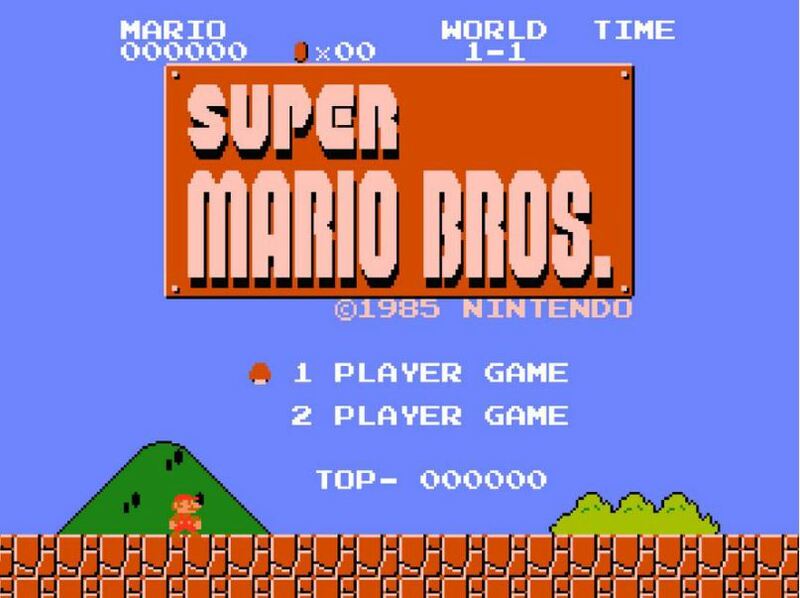 Super Mario Bros. consists of 8 worlds, with each one containing a 4 sub levels. Most of the levels involving running and jumping, although there are also a handful of underwater levels. At the end of each world you will face a boss character that you have to defeat in order to advance in the game. In addition to the main levels there are also multiple hidden levels that allow you access to upper levels, as well as power ups and extra lives. At the end of every level there is also a flat that you need to jump on. The higher you reach on the flag, the more points you are awarded. Although the points don't aid you during game play, if you are aiming for a high score you should always try to reach the top of the flag. Although it is a very simple game compared to the advanced video games of today, Super Mario Bros. will likely remain a favorite simply because of the overwhelming popularity it achieved when it was first released. For many video game fans Super Mario Bros. was one of the first games they played, and it is one that they likely spent countless hours trying to defeat. The simple game play doesn't mean that Super Mario Bros. was easy. In fact many people who have never tried the game are quick to dismiss it simply due to it's age. However if a newcomer can be convinced to try it, they will probably be surprised at just how challenging the various enemies and obstacles can be. Super Mario Bros. is a classic video game that helped to launch a major franchise. It's game play elements and side scrolling action became a video game staple for years as other companies sought to emulate it, and hoped to capture some of it's success. Super Mario Bros. is an all time classic that any fan of video games should love.